Posting bail isn't something that a majority of people have a lot of experience with, so if you find yourself in a situation in which you need to do so, it's likely you have many questions. The following are just a couple of questions that you may have. Should you require further answers it is a good idea to reach out to a professional bail agent, who can fill you in on what you need to know. I just learned someone I care about has been arrested, what should I do? Either you just got a phone call from the person who has been arrested or you have learned through a third party. In either case you will want to find out what jail they are in and what charges they are facing. When you go to post bail both of these pieces of information will be needed. If the person is not released on a PR bond, which is more or less a bond on their word saying they will appear in court, they will need to have bail posted for them. A cash bond can be used and paid at the courthouse, but this usually entails putting up thousands of dollars until their case is settled. A bail bond is often the most immediately affordable, and quickest option. What qualities should a bail bond company have to know I can trust them? If you decide that a bail bond, also known as a surety bond, is the route you'll take to to get your loved one released, you will need to find a professional bail bond agency. This agency should offer 24/7 service, be licensed and insured, and offer payment plans. From the time you begin the bail bond process with a bail agent until the time the defendant is released can vary based on the location of the jail, its capacity and several other factors. In most circumstances it takes between two and 12 hours. When you post bail using a bail bond you must pay a one time fee of about 10 percent of the total bail amount. This fee is nonrefundable. Where can I get a bail bond in Kelseyville? If you need to post bail in Kelseyville, Marysville, Yuba City, Ukiah or the surrounding communities be sure to reach out to Rob Brown Bail Bonds. Our team of bail bond experts is available 24 hours a day to assist you day and night. 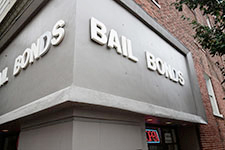 Give us a call at (707) 587-4563 to request more info on bail bonds in Kelseyville and the surrounding area.